Ayesha Imam is a feminist activist, and policy and evaluation research consultant. Her publications include The Devil is in the Details: At the Nexus of Development, Women’s Rights and Religious Fundamentalisms; Warning Signs of Fundamentalisms; Knowing Our Rights: Women, Family, Laws and Customs in the Muslim World. She is a member of the executive committee of DAWN, and was the founding Executive Director of BAOBAB for Women’s Human Rights. 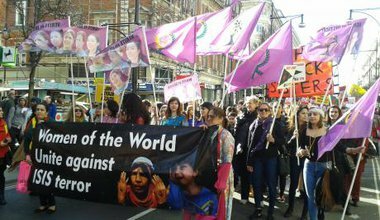 Dealing with the escalation of violence against women across the world requires a wider adoption of a feminist approach to working at the nexus of development, religious fundamentalisms and women’s rights.